Simone was an awesome model at our annual "Life Class" for the Onslow Outdoor Painters Society... we had a live model and a still life studio set up for the event. January 26, 2014. 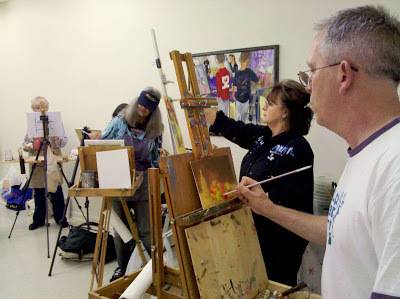 OOPS "Life Class Paint Out this Sunday (Jan 26) from Noon until 4:30pm. GREAT NEWS... 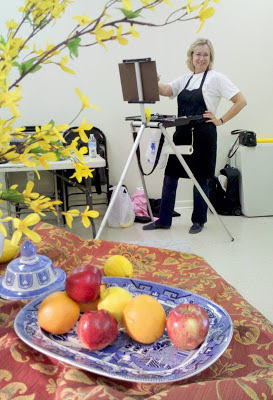 I have secured a live model for our life class next Sunday. Her name is Simone. 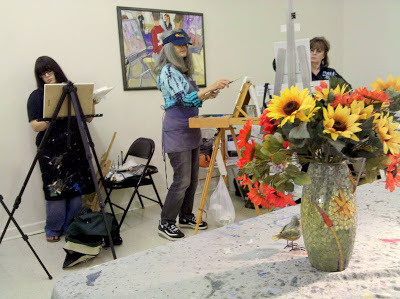 She will do a seated long pose from 12:30 to 4:30 with breaks each hour. We are asking for a minimum $5 tip per artist for her services. 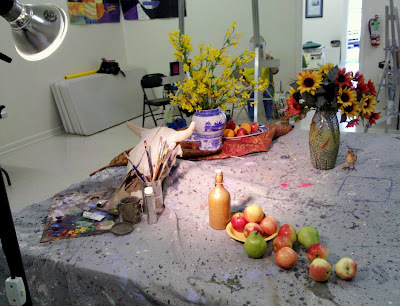 A simple still life will be set up in the Jean Wenner Studio #1 for those who prefer to paint a still life from life. This is just a reminder that your artwork for the upcoming Onslow County Museum art exhibit, "Rivers, Streams, and Marshes," is due to Connie Wenner at the Council for the Arts by 4 pm on January 17th. 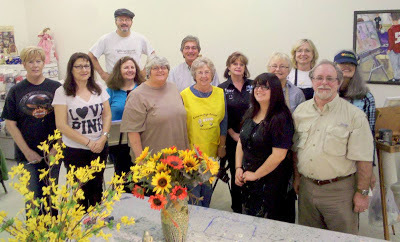 Each OOPs artist may submit one piece, framed and ready to hang with wire hanger to Connie. 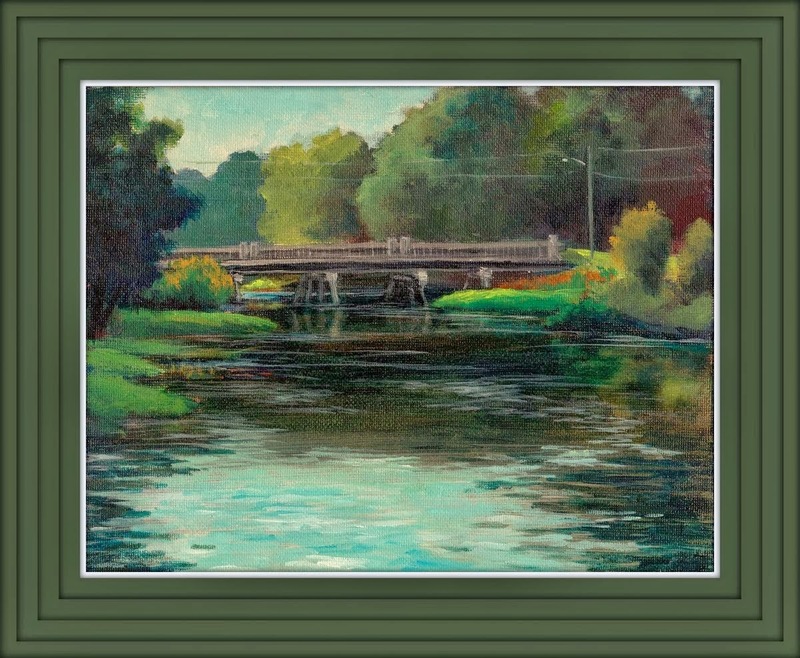 "Chaney Creek Bridge" as viewed from Phillips Park. 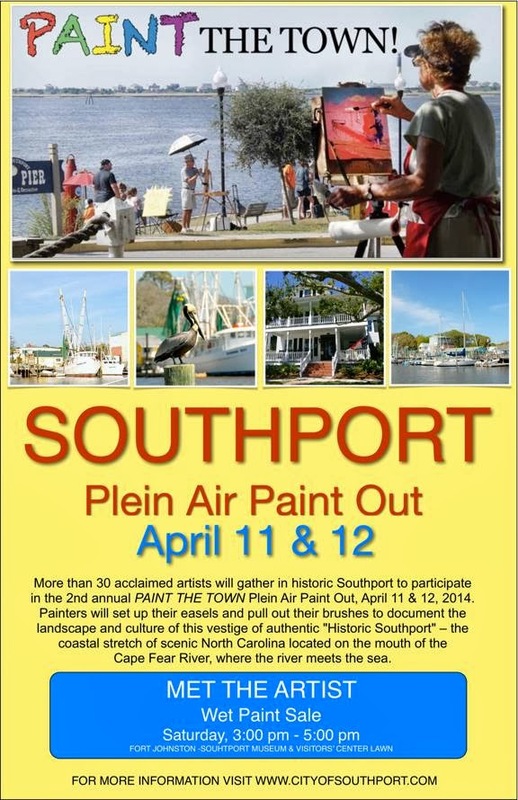 Plein air painting by Bernie Rosage Jr.